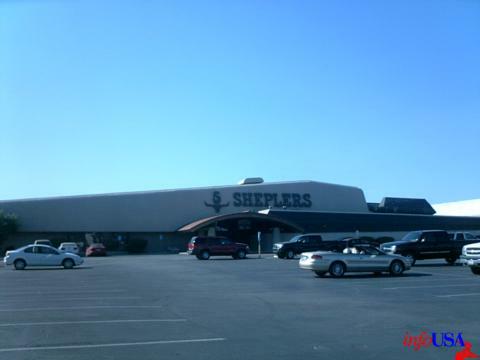 I can’t say I have any nostalgic feelings for this Stein Mart building currently being demolished on the Northeast corner of 95th St. and Quivira, or its previous tenant Shepler’s Western Wear. I can’t recall buying anything at the former and even entering the latter. By a strange coincidence both stores still remain at the same intersection. I don’t know what the unusual shape of the building was supposed to represent and did it look as forward-thinking and futuristic in the late 1970’s as it looks outdated today. Apparently the design wasn’t unique – a twin of this building may be still surviving in San Antonio. 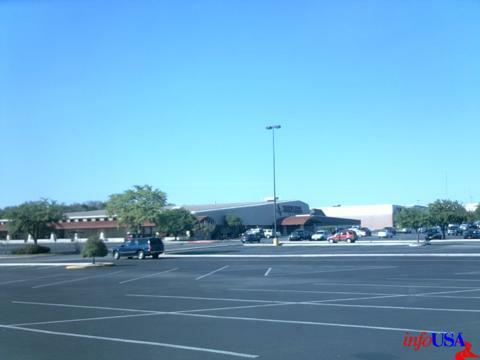 *the next 2 photos depict the San Antonio building, I wasn’t able to find anything on the Overland Park location.